ROSES . . . . . and the thorns : The Career You Should Have. The Career You Should Have. Is what you guys doing now, your dream career? And fyi, Vet is never be my ambition. In fact, I was not really interested in animals thingy BUT I LOOOVEE WATCHING DISCOVERY CHANNEL AND ALL DOCUMENTARIES ON NATURE AND WILDS. That's all I remember why I agreed to choose this career, never linked to any of stray cats and dogs in my housing area. Once, I wanted to be a geologist and it happened after the tsunami (around 2004), like I wanted to be in team where we done research on why that happened. I felt the excitement as the team was. I collected all the journals and read it from estidotmy (during my time, Utusan had this booklet called Estidotmy, it was all about science) and as we were rarely to get connected to internet for infos, I had all things in my hand with hard copied versions ! Bless. But, nowadays it is more easier to collect info. Just Google ! They say. It has lots of benefits, you get your things in just one click. Easy. Thus, we are pampered much. Other than that, they were lawyer, judge, journalist, physiotherapist, psychiatrist and pharmacist. Then of all these, why I chose vet? 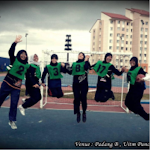 It happened when I needed to fill in UPU program. My mom insisted my not to choose medical course. Yes, it was just that. Nothing fancy like dreaming or a call from a seminar or what. I never expecting that I will be chosen. 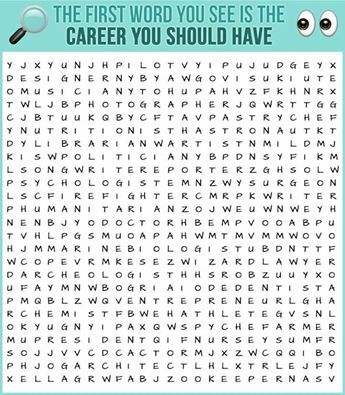 My first list and I guaranteed I will have it was, physiotherapy. As the course need less prerequisite and my result was far better for this course made me thought that. But I got Vet course. Knowing the excitement, it was started well and now going... well? Ehe. Subjects are tough. And you learnt so vast. Until you realized you are going your final year. A year before entitled a doctor. A vet is only a vet if you think that way. Treat animals, gain new knowledge and get scolded. But for me, I want it to be an impact for myself, deen and ummah. What we, vet can do? It is all depending on us. How we treat human and animal in humane. How we serve the community with halal food source. How we handle both our patients and clients. How we pray hard to make sure 'things' on Earth are healthy and wealthy. How we control diseases so it doesn't harm public and creating a panic public. How we control everything. It is on us. Work for the community? Hmm, I'm still thinking. People say (reliable source) a vet should be specialized. Go for post-grad courses. It is a new grown field, ordinary experience and knowledge won't help to increase awareness and protect the community. Remember Nipah outbreak in 1998? It was chaotic when you never know what was actually happened. Even the vets that time thinking it was JE. And doctors treated patients according to JE (Japanese encephalitis) which wasn't effective as cases increases day by day and treatment was wrong. More people get sicked, more pigs affected. And until they figured out Nipah. And then only the outbreak slowly went down. Thus, we need to get exposed to everything newest as emerging disease is unpredictable. Same goes to Avian Influenza. Zoonotic and emerging. It wasn't transmit human to human in old days. But it was on 2009 which we had the H5N1 pandemic. Before this, are we aware if we feel safe? That's our job. To create public awareness and keep protecting the community. If all don't do it, WE HAVE TO GET 1 PEOPLE DOES IT. It's fardh kifayah. Pray for me, for us and for ours. Love.xoxo. Eh, I wasn't intentionally typing a long entry btw. It was just the thinking of sharing this puzzle. And I got pastry chef. Ehe. Ok bye, nak google resepi.